Sunderland watching Marega but could miss out on M’Vila. Sunderland scouts are keeping tabs on in-form striker Moussa Marega - but hopes of bringing Yann M’Vila to the club in January could be dashed. The Black Cats are understood to have scouted 25-year-old Marega in recent weeks but face severe competition from several other Premier League clubs. The Mali international is the leading scorer in the Portugese top flight. It comes as Sunderland’s hopes of landing M’Vila - out of contract in January - could be in jeopardy as sources in Russia say his representatives have entered into fresh talks with Rubin Kazan over a new deal. Bottom-of-the-table Sunderland have suffered their worst ever start to a league campaign, with just two points from their opening 10 league matches. The club will need to strengthen in January, especially as the 2017 Africa Cup of Nations could see four key players missing for several weeks. Stoke City, Watford, Crystal Palace, Leicester City and Tottenham Hotspur are all weighing up a move for Marega, who is currently playing for Vitoria Guimaraes in the Portugese Primeira Liga. On loan from Portugese giants Porto, he has scored 10 goals in eight appearances so far this season - including a hat-trick at the weekend against Rio Ave.
With Victor Anichebe yet to start a league game, Sunderland are relying on Jermain Defoe again for goals and extra firepower will be top of the January wishlist, although Sunderland are not awash with funds due to financial fair play restrictions. The Africa Cup of Nations tournament is a worry, with boss David Moyes admitting previously it was a “big concern” considering the players that are likely to be missing. Ivorian centre-back Lamine Kone - who is reported to be wanted by Everton, West Ham United, Chelsea and Manchester United - Tunisian winger Wahbi Khazri and Gabonese central midfielder Didier Ndong are all expected to be involved, while Papy Djilobodji could feature in the Senegal squad. 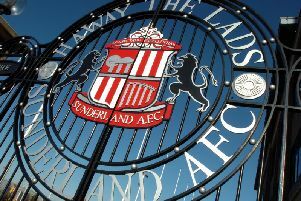 Sunderland officials had been in negotiations with the Russian side all summer over the permanent transfer of M’Vila, who starred on loan last season at the Stadium of Light. There is a pre-contract agreement in place with M’Vila and the Black Cats, although that agreement is not binding. Any hopes of landing him earlier this summer were thwarted by cash-rich Rubin Kazan’s refusal to go any lower than their £8.5million asking price for a player who had just a few months left on his deal. M’Vila was desperate to return to Wearside and declared himself “heartbroken” after any hopes of a deadline-day transfer failed to materialise. The 26-year-old was initially excluded from the Rubin Kazan squad for the Russian Premier League season. But he has since played three times for the club, most recently in the 3-1 defeat at Terek Grozny last week.